Thailand is a huge place, with loads to do, so narrowing it down to the 10 best experiences is hard. But don’t worry, we like a challenge and have given it our best shot. Here are the 10 best things we experienced whilst in Thailand…. Wat Pho is one of the biggest and most popular attractions to visit in Bangkok. But despite its popularity, it holds a secret not many discover. Despite advertising a closing time of 6pm, the small south entrance stays open until late at night, giving the rare and magical opportunity to feel like an solo explorer in the most visited city on earth. 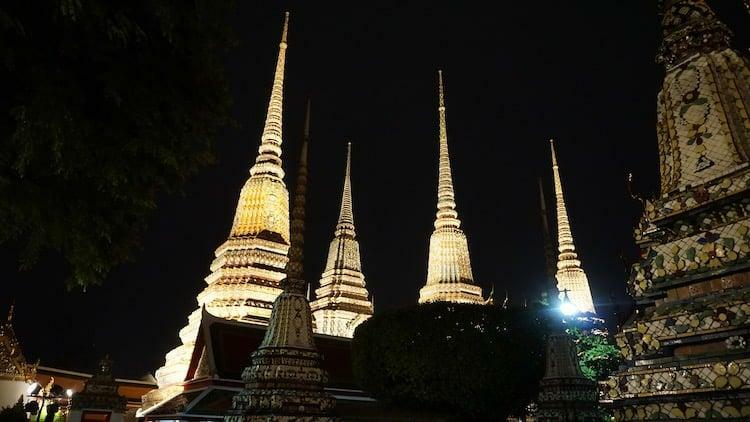 Read more about Wat Pho here…. We had seen bats before, even visited bat caves, but we’d never seen anything like this. 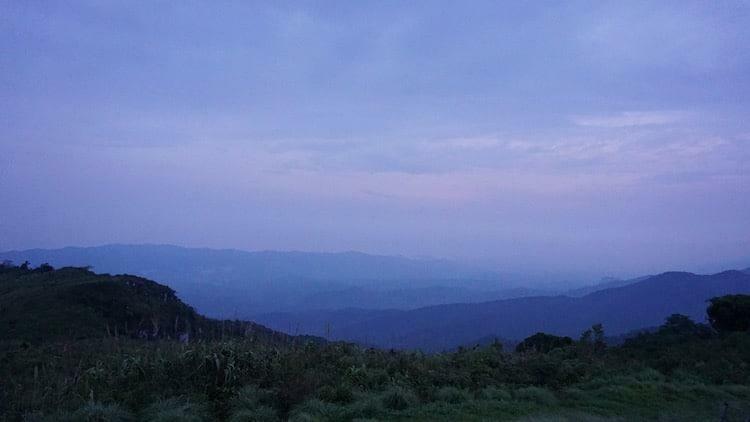 On the first night of an adventure over to Khao Yai National Park, with the main aim to see wild elephants, we took a tour that ended in the most unforgettable experience we had in Thailand. 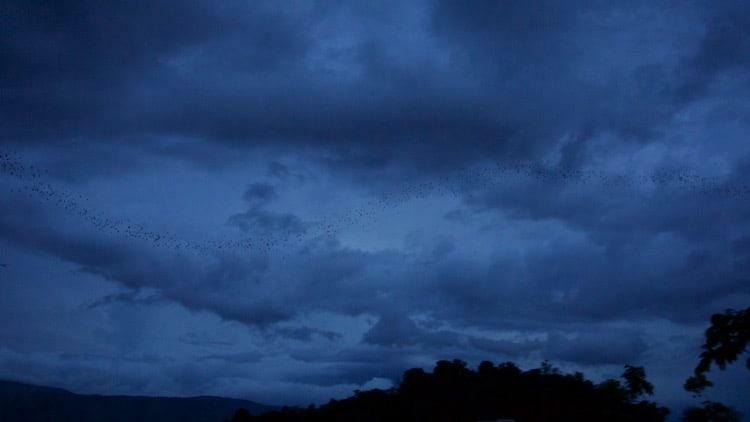 Two million bats leaving their roosts at dusk, and flying out into inky blue sky. Truly remarkable. Read more about the bat caves at Khao Yai National Park here…. Phu Chi Fa straddles the border between Thailand and Laos, and is the setting for one of the most beautiful sunrises in the country. We visited on day one of an unforgettable road trip through Chiang Rai Province. If you are lucky, the valley fills with a carpet of cloud, creating the canvas for the early sun’s colours, and even if you’re the sight of sunrise over rice field and the Mekong is stung, and about as quintessentially Asian as you can get. Read more about Phu Chi Fa here…. Most big towns in Thailand have some form of night market, selling food, clothing and knick-knacks to tourists and locals. Our favourite ones were in Chiang Rai. The nightly market just off of Chiang Rai’s main street feels far less touristy than others we saw in Thailand, with a range of traditionally made products on sale amongst the usual cheap t-shirts and elephant pants. But the crowning glory is the food court, a large rectangular area filled with yellow metal tables and chairs, surrounded by food-stalls of fresh Thai food. 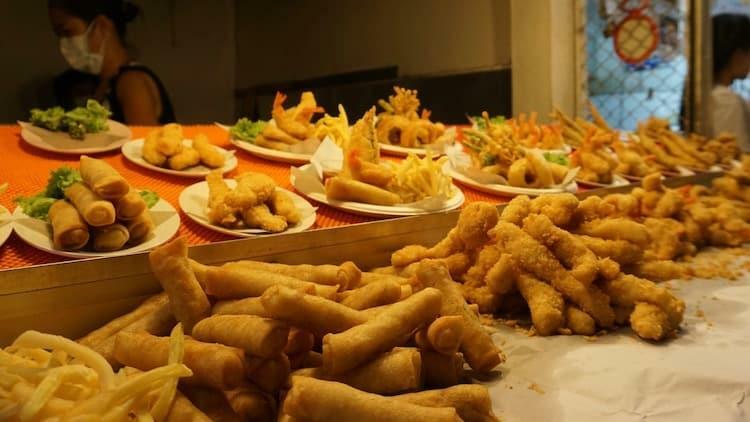 Pick your favourite dishes from each, grab a couple of beers and sit back to watch the traditional dance shows take place on the stage at the front. Paradise. 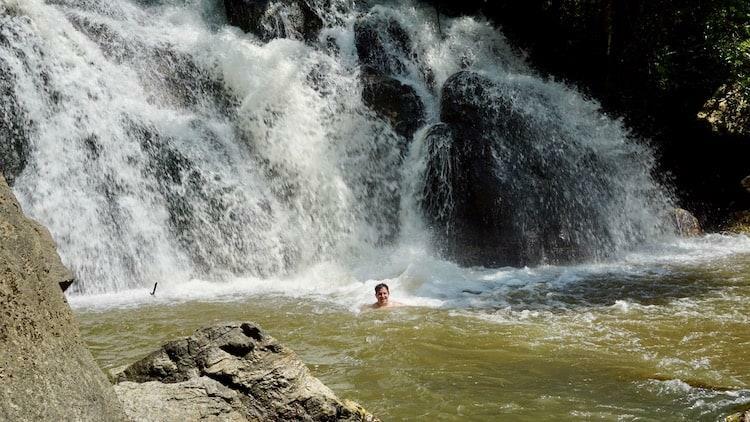 Read more about Chiang Rai here…. Ayutthaya, about an hour north of Bangkok, was once the capital city of Siam and the biggest on the planet. 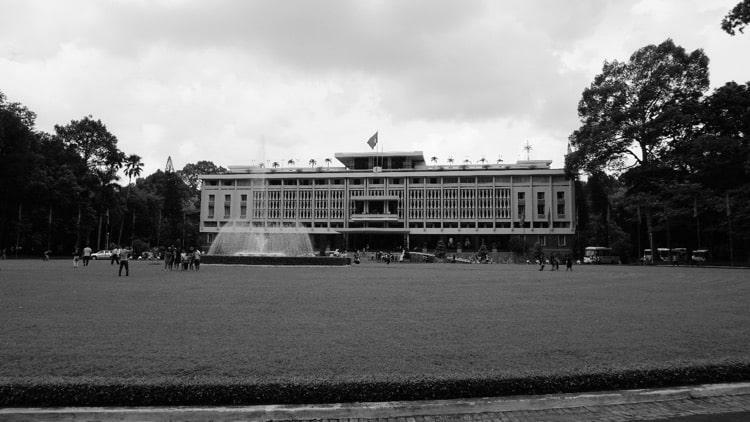 After defeat by the Burmese in 1767, the capital was moved to Bangkok and the buildings were abandoned. 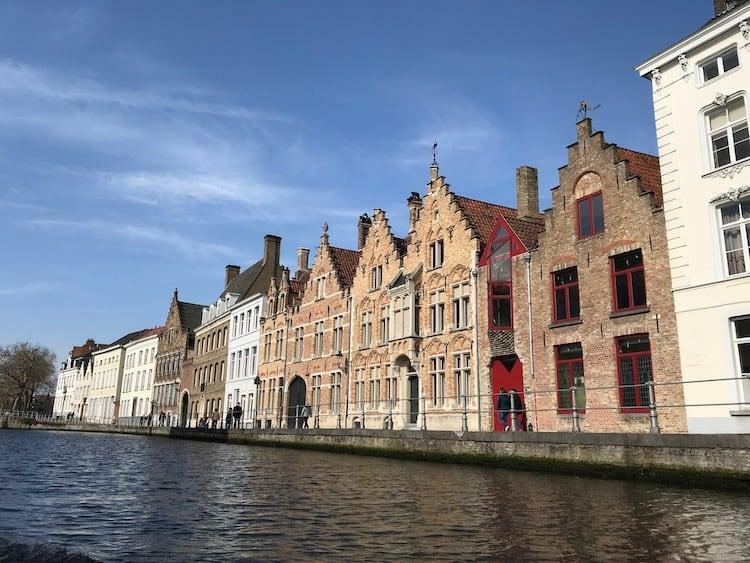 Despite years of weathering and looting, the historical centre is remarkably well preserved, with giant temples and palaces built of shallow red cricks easily accessible in a day by bike. 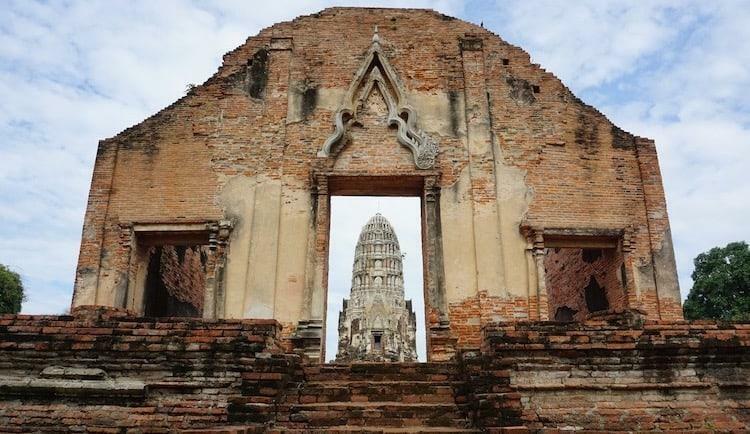 Read more about Ayutthaya here…. 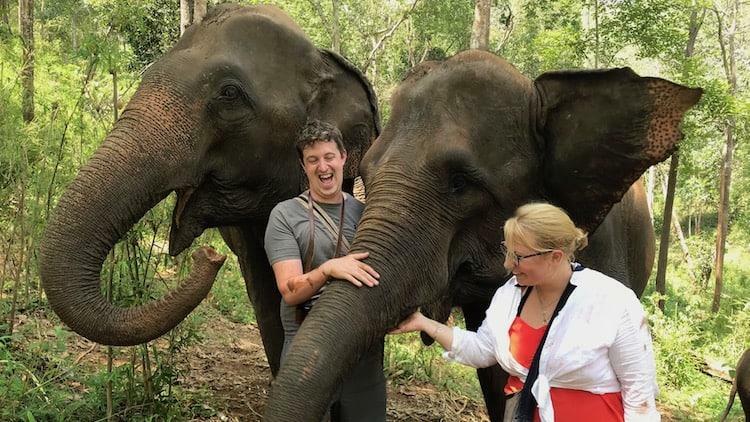 There have long been more domesticated than wild elephants in Thailand, however their treatment seems to have improved dramatically over the past decade. With the end of their use in the logging industry, very few places now offering rides, and tourists now seeking out ethical experiences, the main winners have been these majestic giants. We were desperate to see them in the wild, but failed, so consoled ourselves with a trip to Chai Lai Orchid near Chiang Mai. It turned out to be far more than a consolation prize. Walking, bathing and playing with the elephant, whilst supervised by the mahouts, was probably our favourite two days of the entire trip. Finding a place to watch the sunset in Bangkok can be hard. With high rise buildings across the city, getting a good viewpoint is tough, unless you decide to go up! 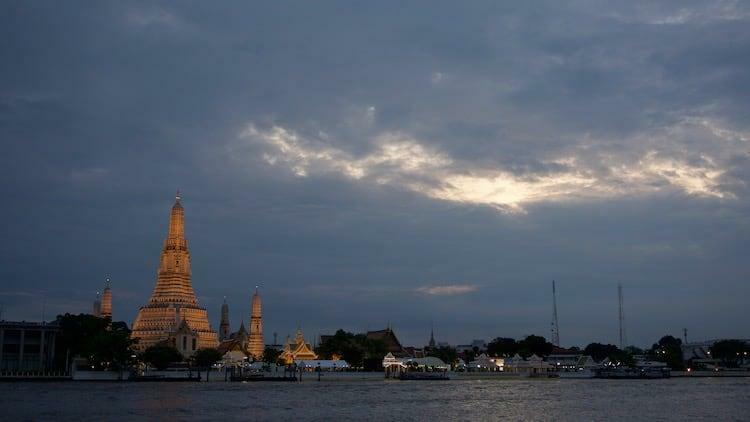 We had been told the sunset over Wat Arun was one of the most spectacular in the city, so we persevered until we found a spot beside one of the taxi-boat docks. We were glad we did, as seeing the sun drop behind the tiled stupa ended our time in Bangkok perfectly. Read more about sunsets at Wat Arun here…..
We decided to book a Thai cooking course on the recommendation of some friends back in the UK. We didn’t really know what to expect, but were blown away by an incredible day. We went shopping in the markets, picked fresh herbs in the gardens, cooked up eight dishes across six hours, and ate until we almost burst. They even left us with a recipe book so we could make the same dishes back home! This was our first time in a Buddhist country, and over the course of four weeks we saw for ourselves what it means to the people here. I am not a desperately religious person, but there is alot that makes sense about this religion. 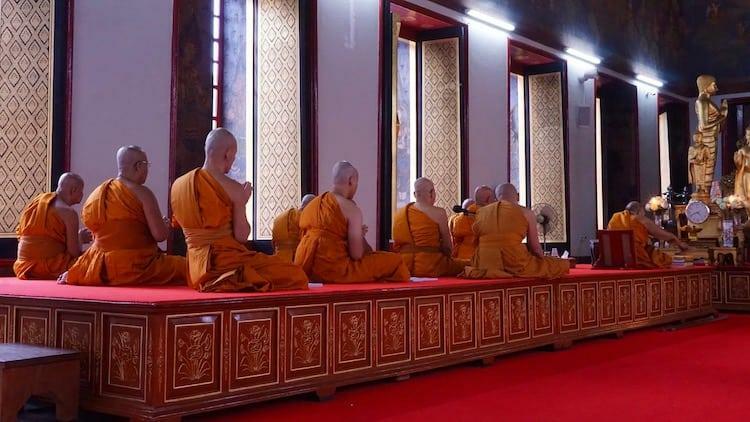 There have not been any wars caused by Buddhism, they believe in a set of values not some unseen god, their treatment of animals, a calmness brought on by meditation. 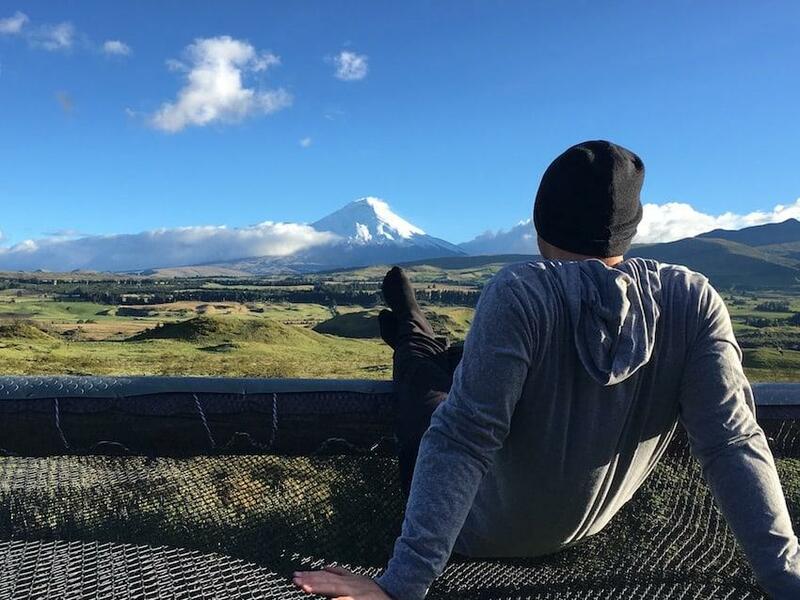 It seems to be the antidote to the 24/7 social media onslaught of the early part of this millennium, and left me with a feeling that I wanted to learn more. Read about a memorable Buddhist experience here…. On the second day of our trip to the elephant sanctuary near Chiang Rai, we took trek out into the forest with a member of the local Karen hill tribe. After battling our way through the humidity of the jungle, he led us to a secluded spot where we swam in the cooling waters of the mountain. Sitting on the rock, I remember thinking just how peaceful I felt. It was moments like this we had left England for, and here we were, living our own adventure in the middle of no-where. 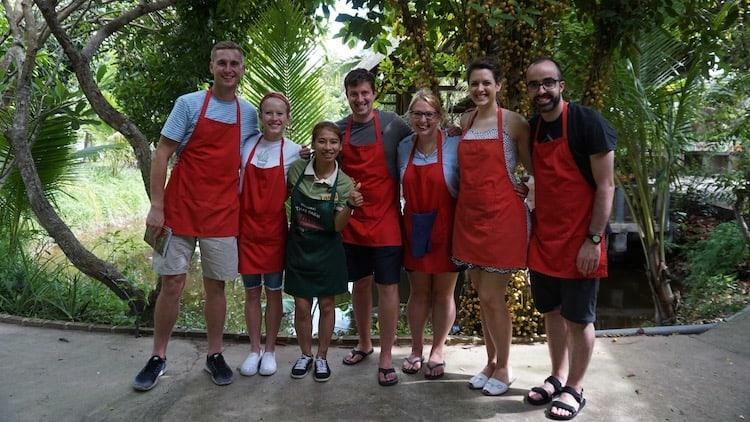 Planning a Visit to Thailand? Check out our full guide to Thailand here.